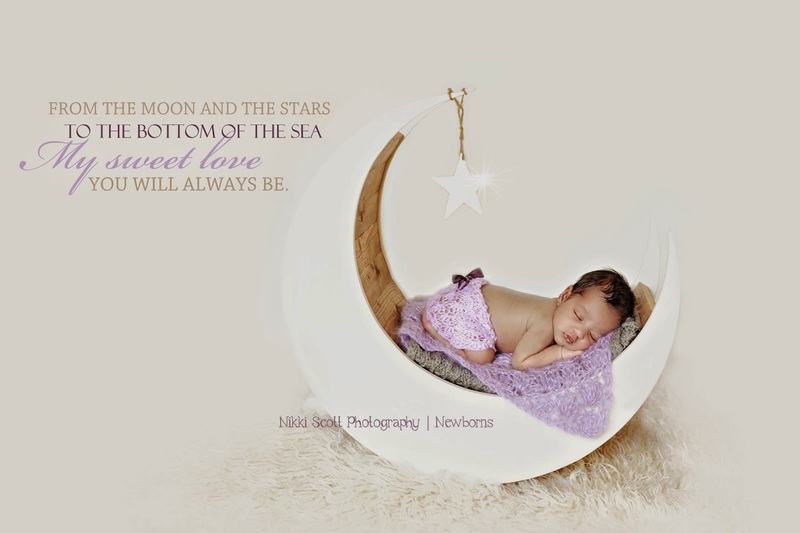 Nikki Scott Photography: Moon prop. Eeeek, love my new prop! Clients always ask if I have fresh new props to use as many of my clients are through word of mouth referrals. They have all seen images I have captured of their relatives or friends babies and LOVE them.....but would like something a little different and unique to their own baby. I am happy to reply that I have a bit of a prop addiction and am always on the look out for new and creative items. So this is my latest "find" and I think I will be using it quite often and it works for both boys, girls and even toddlers can use it as a chair prop to sit in.